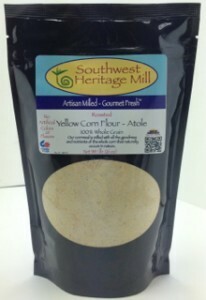 Yellow Cornmeal, – Medium Grind, Gluten Free, 100% whole grain, unsifted. Also available roasted. The cornmeal is roasted to perfection enhancing the flavor and increasing the shelf life without affecting the nutritional value. Use in place of a regular grit or cornmeal.